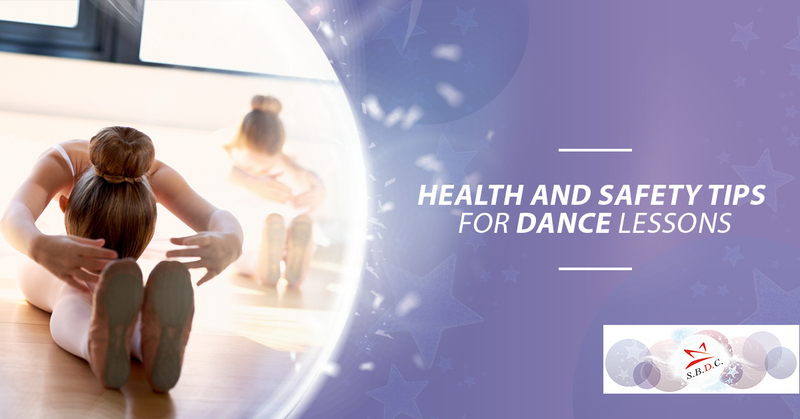 At Star Bound Dance Company, the health and safety of our students is of the utmost importance to us. That’s why we always prioritize ensuring that our dance studio in Airdrie is as safe as possible. We do so by prioritizing supportive floors and mirrored walls, having a first aid kit on hand, training our staff on safety measures, and having clearly marked fire exits. However, this is only one side of the equation. The health and safety of our dancers also depends on their own behaviors. That’s why we have put together this handy guide to help you make safe and healthy choices for your dance lessons. Forget what you might have heard from naysayers — dance is a rigorous and physically demanding form of exercise. Jumping right into it without first warming up your muscles makes you more vulnerable to injury. While we incorporate warm ups into our dance classes, it is still important for you to come in and good some light stretching before class to warm up. In addition, you don’t want to forget to cool down after you exercise. This helps reduce your soreness after exercise and also ensures that your heart rate and breathing slow at a gradual pace, preventing dizziness or fainting. Some of our dancers are in such a rush to learn their choreography, they don’t think about alignment. This is a recipe for injury. It is worth it to take an extra minute or two to ensure that you understand how your body should be aligned. If you have any doubts about whether you are properly positioned, make sure to talk to your dance instructor so they can guide you. 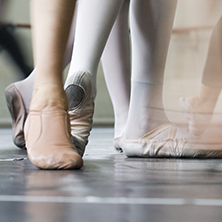 Your health and safety in dance class isn’t restricted to the classroom. In fact, the choices you make outside of class have an impact, particularly when it comes to food. It is imperative that your body is properly fueled before dance class. Make sure to eat food that nourishes you about two hours before your dance lesson with a balance of protein, carbohydrates, and fats. Some great choices include banana with peanut butter, a tuna sandwich, a fruit/yogurt parfait, and hummus and veggies. Another thing that you do outside of class that will impact your success while dancing is rest. If you aren’t getting sufficient sleep, you will be clumsier and have slower response times, putting yourself at greater risk for injury. Make sure that you are getting enough sleep and participating in active rest on days you don’t have dance lessons. Health and safety aren’t just about your physical health; it’s also about your mental health. Make sure you are caring for your mental health by filtering your dance experience through a positive lens. This will help you bond with your fellow classmates, be more invested in your lessons, and approach learning with a vision of success. At Star Bound Dance Company, we want to make sure you are as safe as possible when you visit our dance studio in Airdrie. Please follow this guide and contact us if you have any questions. In the meantime, check out our schedule to find dance lessons that work for you!